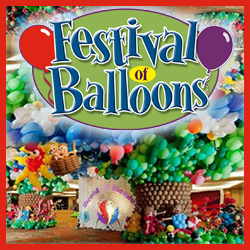 The Festival of Balloons event takes place in Denver Colorado in March. Explore the amazing realm of everything BALLOONS! This fun family event is a display of balloon art and creations like you’ve never seen before. Balloon entertainers will feature wonderful balloon art and decor – some colossal in size! Children 12 and under FREE with adult ticket purchase.